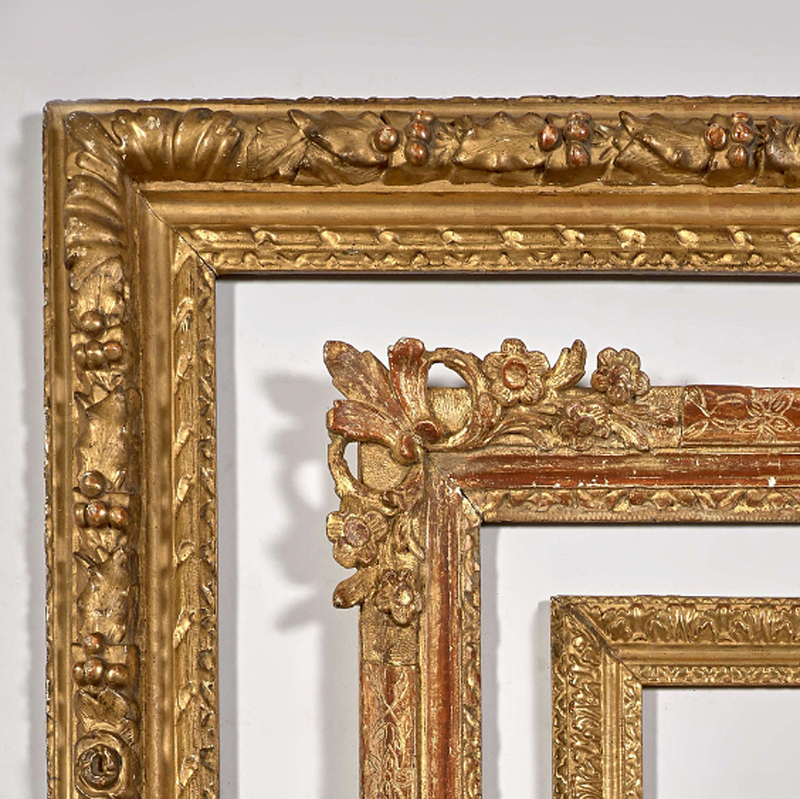 …to be held on Tuesday 25th September 2018 by Artcurial. 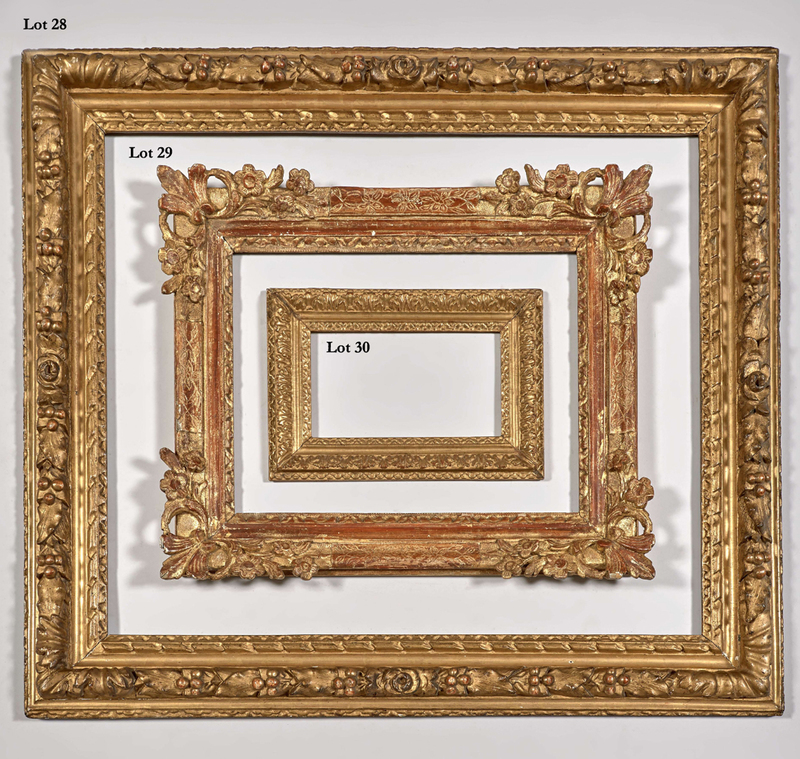 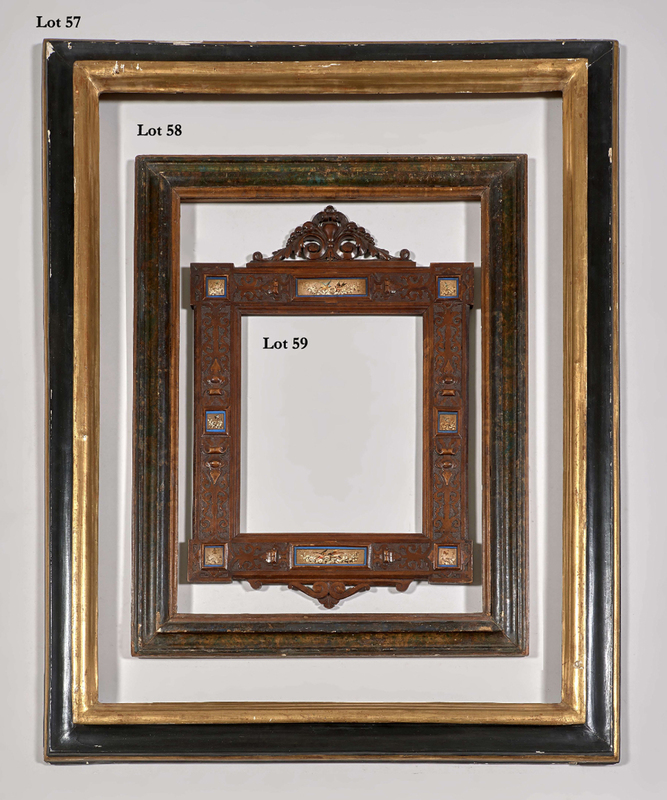 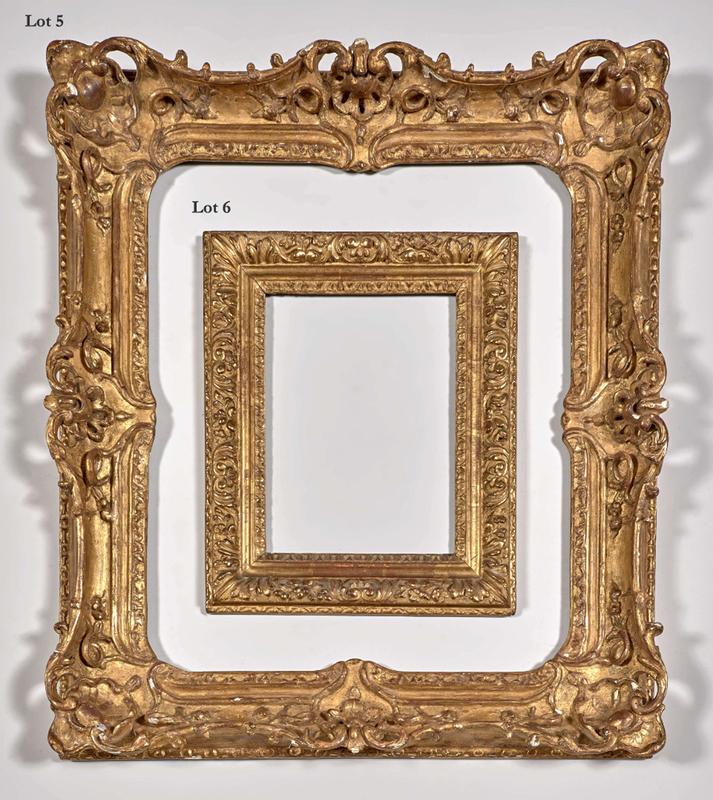 This auction includes frames of various periods and nationalities, and is combined with a group of Old Master and 19th century paintings, drawings, and sculptures. 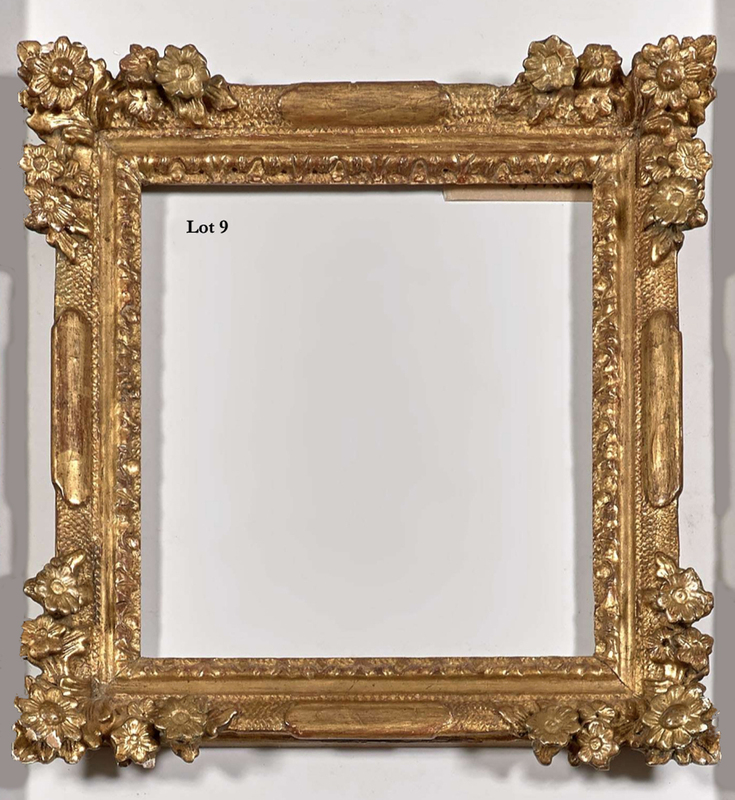 Some examples are included here; for the e-catalogue see Maîtres anciens et du 19th siècle. 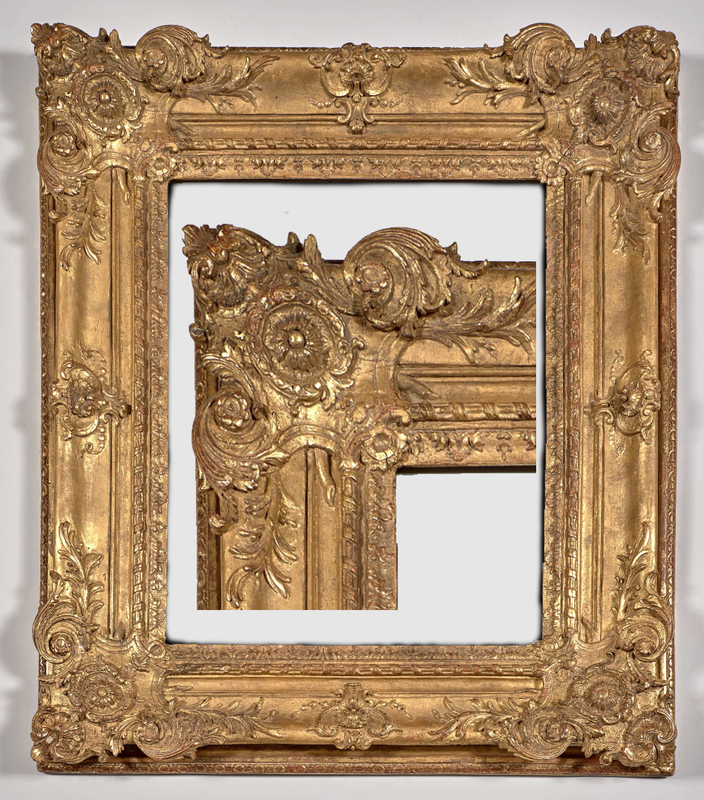 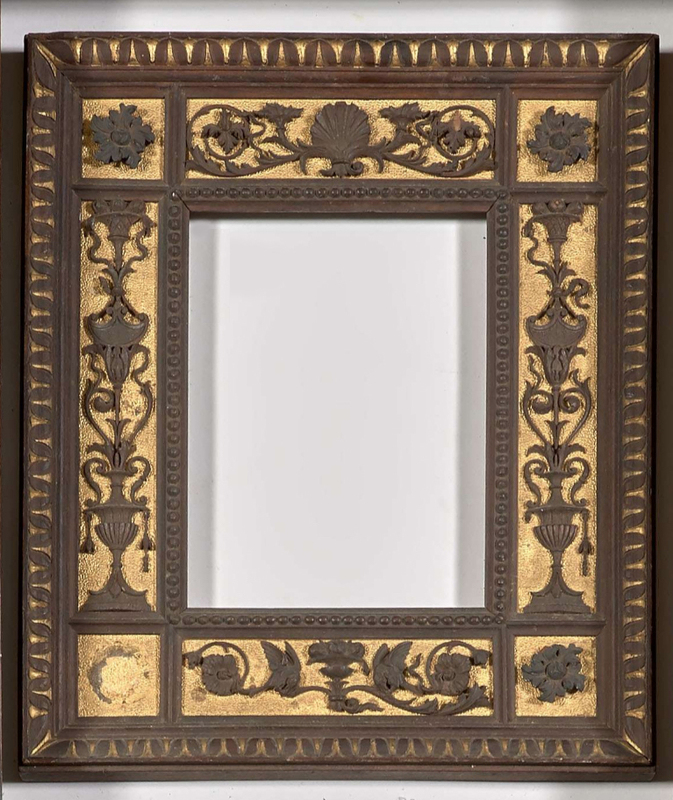 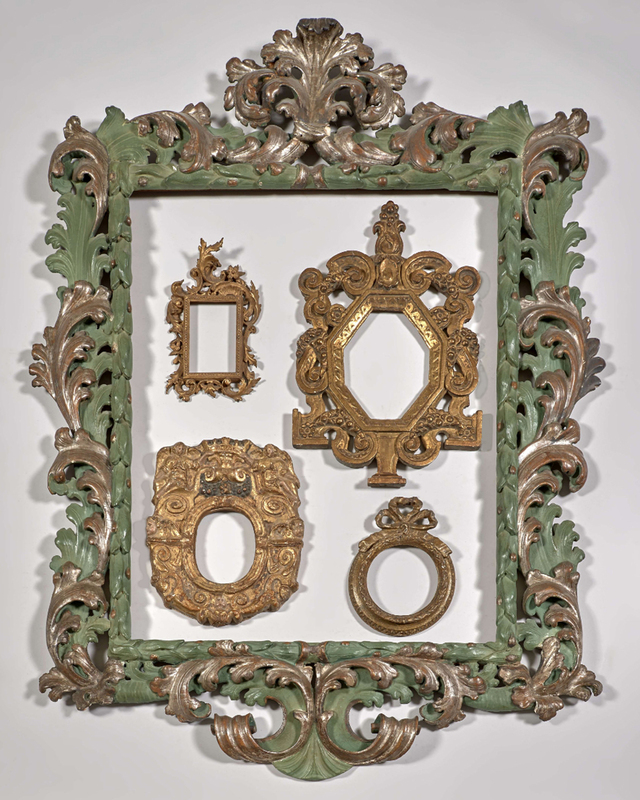 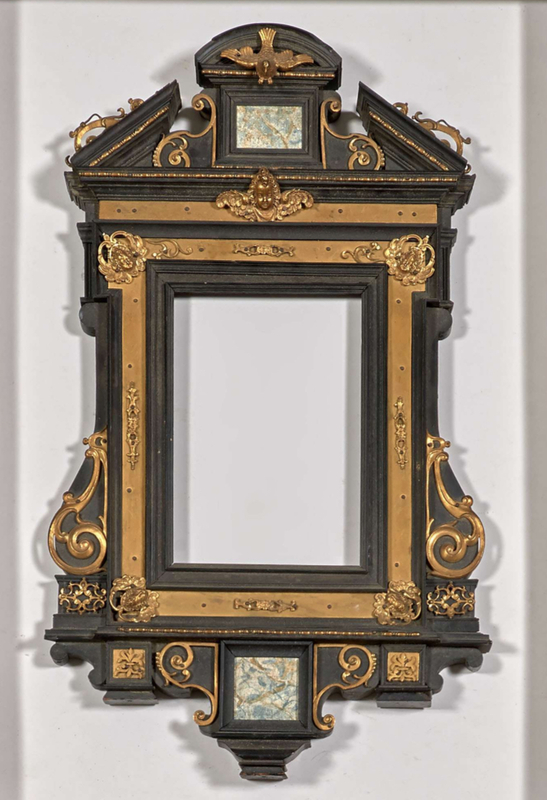 Lot 36: Régence frame in giltwood, with enriched ovolo back edge; corner cartouches with ovolo garlands, scrolling foliage, sunflowers and reversed flowers, with palm branches; centre cartouches with sunflowers and trailing buds; centred bound fasces; acanthus-&-bud sight edge; 65 x 55 cm; estimate €4,000 – 6,000. 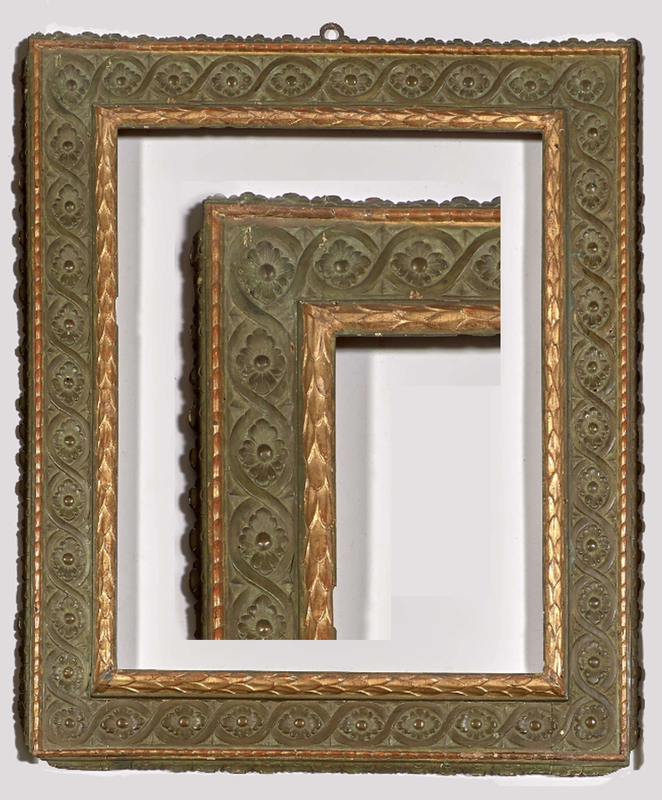 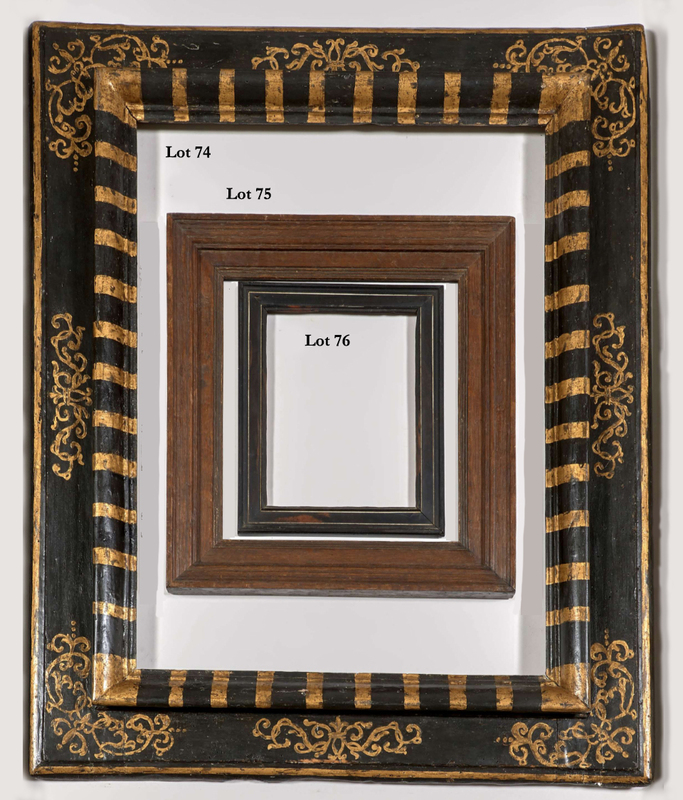 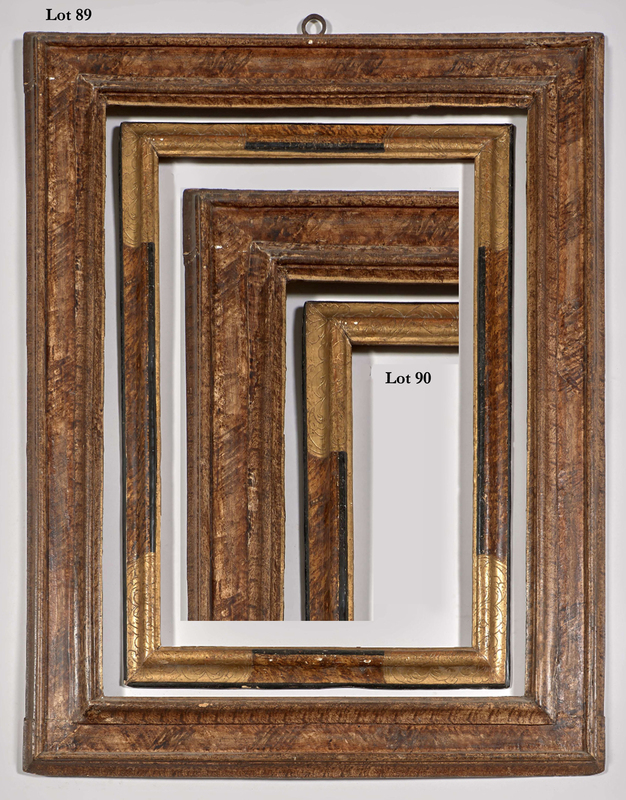 This frame has strange proportions: it gives the impression of having been cut down, or having had the width of the rail enlarged. 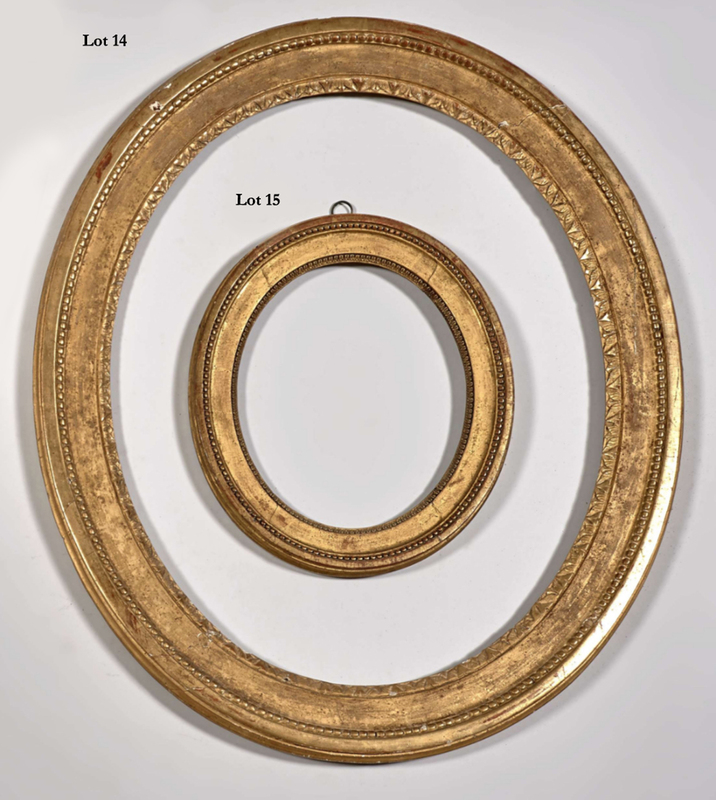 Thank you for your publication and your work! 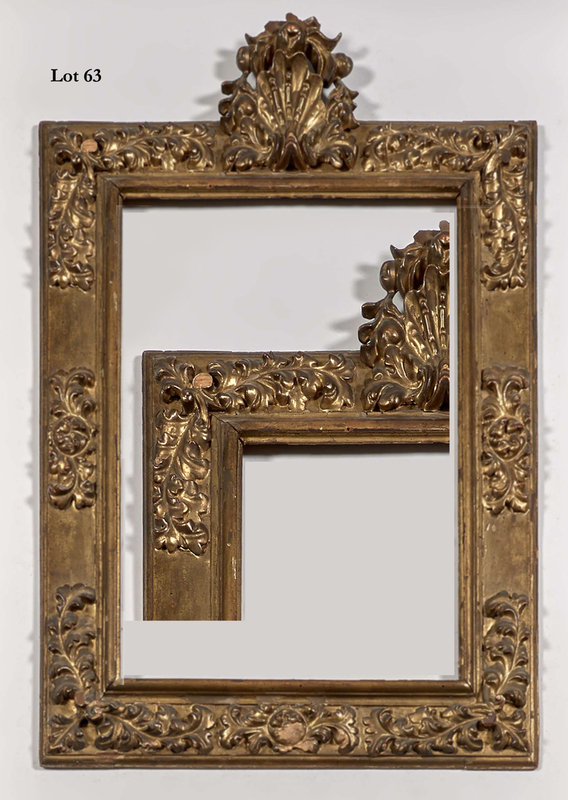 sincerly yours. 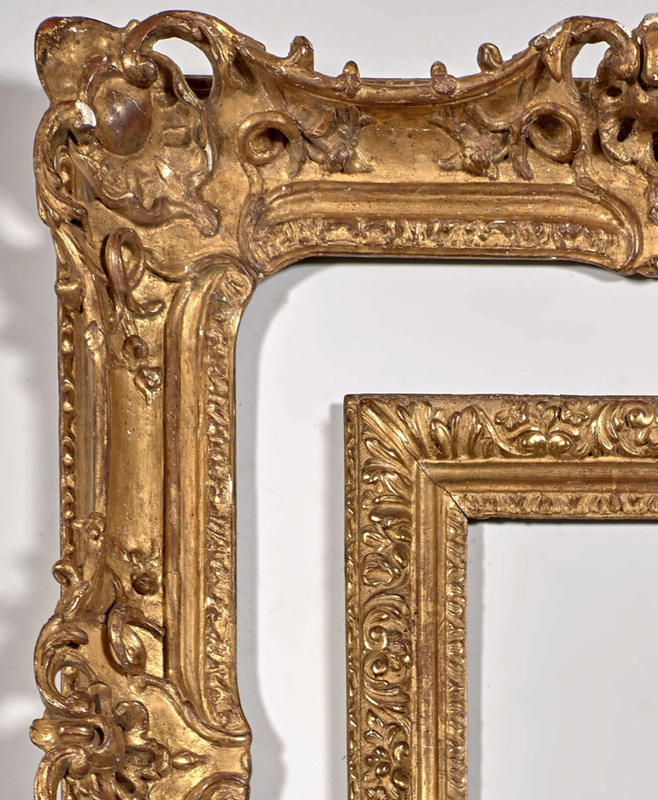 We hope to see you during the exhibition. 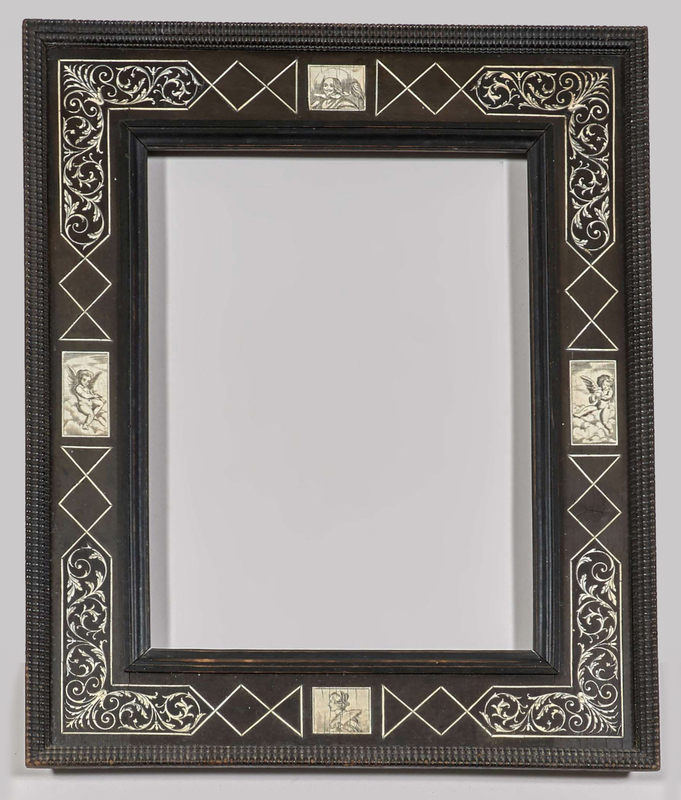 Thank you – how kind of you. 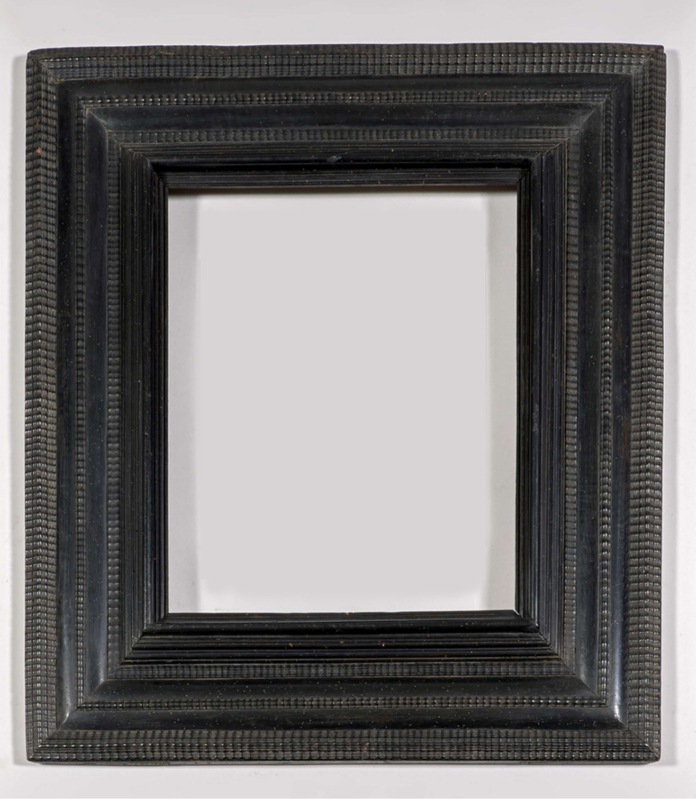 Sadly, I am just about to go on holiday, but best wishes for it!